Joe is a songwriter of great depth and variety and is a first class live performer whether solo or with his band. His emphasis on excellence is obvious to everyone. He has been playing stages of all sizes for over 10 years, for the last 7 as front man of rock band ‘Brought into being’ and is at home in a church hall, a pub or a festival having honed his craft in all three… Now with new solo material produced with friends; a collection of songs of hope, songs of life, songs of love. With a mixture of acoustic tracks through to Pop and all out Rock, he has a desire to tell a story and draw others into the process. During his time with Brought Into Being he has had some great achievements including getting to the finals of international battle of the bands ‘Surface Festival’ and playing O2 arena – indigO2. 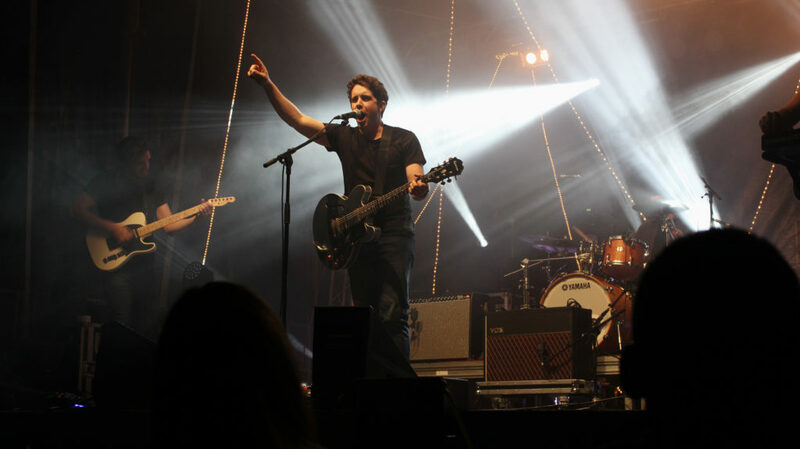 They were involved in leading worship and performing at many youth events and churches including New Wine and Soul Survivor as well as playing UK festivals and venues. The also supported Toploader, released a successful album and having multiple headline and supporting tours. Following a trip to Kenya working with children in an orphanage he is partnering with charity Hope For Kids to raise awareness and support for them as an organisation with this release for more information visit http://www.hopeforkids.co.uk.